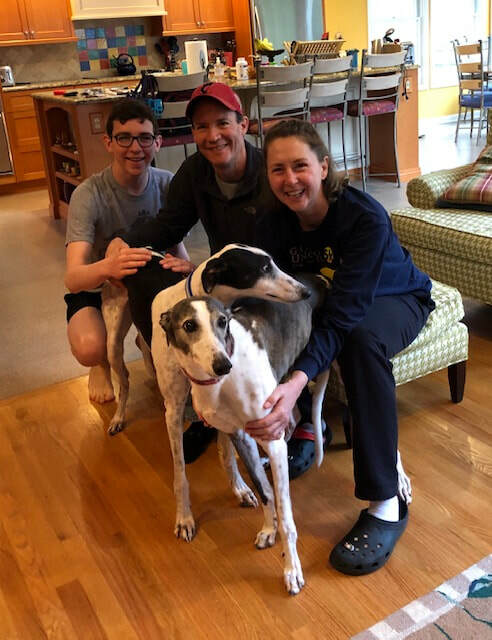 Tread Lightly (now Tess) found her forever home with Josh, Bob and Kris, who live in Indian Hill. They lost their beloved, Lola in October and after Maisy spent some time with Tread Lightly it seemed to be a perfect fit. Today is Josh's birthday, what better gift than to adopt another greyhound! Happy Birthday Josh and Happy Gotcha Day for Tess.